If you are searching a best flashcart for your console, this page will help to get your idea on which card you would like to own. If you are unclear about them, you are welcome to send us an email. Note: Mainly on users feedback, 100% game compatibility, easy to use, interface friendly. 3DS is not good for eyesight of your kids, not recommended here. 1, On what kind of console you are going to use ? 2, Which system version is your console in ? 3, Is there region lock to these flashcarts ? 4, Does it support all games ? 5, Which highest system version does flashcart support ? - Below lists out the current highest system compatibility, for example, if compatible with Ver 4.5.0-10, surely supports backward to 4.4.0-10 and lower ones. Table updated on May 14th, 2014. 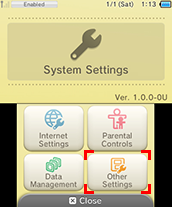 Special note for Gateway-3ds, 3DSLink, MT-Card, it supports 3DS/XL systems between 4.1 and 4.5. 6, Should your flashcart be updatable ? - Nintendo will update console system every other time, which will usually get your flashcart blocked. 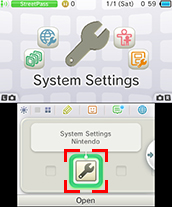 Flashcart manufactures release their firmware patches to update those cards and get unblocked. 7, What is burner ? - It is a firmware writer. If console blocks your flashcart, you have to find another console which does not block your card to do the firmware upgrade. However, with help of burner, you can do the firmware upgrade on your computer directly, another console is not necessory. 8, How to distinguish so many R4 cards ? - We distinguish them by their names and their official website addresses. 9, How to set up these flashcarts ? (1) You can refer to our setup guide ; (2) If a memory card ordered, you can leave your requirement in order comment and ask us set it up before shipping out; (3) Contact us directly via email.